Handle bar grips might be uncomfortable for some. Bike riding is one of the oldest and most popular sports in history. It has been there for years but never lost its touch. Wonder why? Well, it's easy. Cycling is fun. Taking a ride offers you the thrill of watching the world pass by in speed, enjoying the breeze, having control, while burning calories. That said, however, you need a perfect bike for the perfect experience. Are you thinking of purchasing an affordable road bike? It’s the best decision you can ever make. The one bicycle brand that has stood the test of time over the best part of the century is Schwinn. If you're looking for an aesthetic, high-performance road bike, you need to check with one of the oldest American bike companies Schwinn. ​I have used and tested many Schiwnns, and one of my absolute favorites is the Schwinn Volare 1200. The Schwinn Volare 1200 700c versatile bike that will cater to your cycling needs with ultimate power. Regardless of what purpose you're looking to use the bike for, it's surely not going to skimp on performance. Still wondering why I'm gaga over the Schwinn Volare 1200? Let me break it down to you. The Schwinn 1200 Volare is elegantly designed and exceptionally attractive. 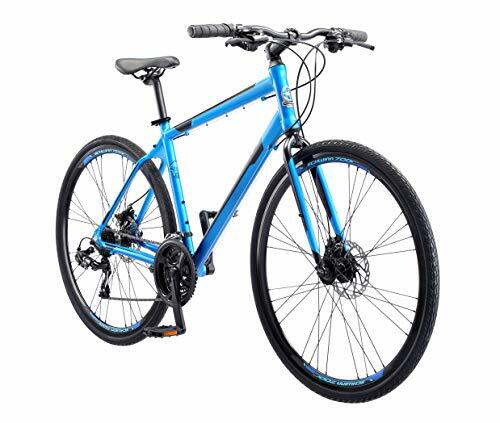 Great for going from the pavement to the trails, it looks like a mountain bike, but performs like a street bike. Convenient, comfortable and easy to use, this bold men's bike sports a dominant white color scheme inundated with red accents on the rack bar and perhaps the most functional and stylish bike you can buy with your money. Overall, Schwinn 1200 Volare is as bold as the rider who buys it. Cycling remains a vital part of men's daily activities. This is why having a model that is planned with the needs and pleasures of men in mind is a huge step forward for any brand. The Volare is an adaptable bike that is planned with handsome and male-conscious elements that create a wonderful rider experience. It’s with this mentality that Schwinn has come up with this breathtaking bike that wraps up convenience, simplicity, and elegance in a single machine. Ask the bike experts, and they will tell you the frame is the essential component of a bike. Now, with the Schwinn Volare 1200, you get a machine with a high-quality and truly lightweight all-aluminum construction frame that will allow you to climb steep inclines with relative ease. While it’s without a doubt that a majority of road bikes use aluminum frame over and above the traditional steel frames, not as many weight as light as the Schwinn Volare 1200. Besides lightness, Volare 1200 is constructed using 6061 form of aluminum, a type that is regarded as the sturdiest and exceptionally ideal for road bikes. As such, the bike allows for effortless acceleration and speed. Designed for a smooth ride, the aluminum frame works in tandem with some stunning forks that will blissfully reduce the shocks and vibrations felt by the rider on bumpy and uneven terrain. So, whether you’re riding on a paved road or country road, looking to exercise, commute or casual riding, the Schwinn will provide you with a smooth ride. Unlike mountain bikes, road bikes are built to position the rider in a hunched position. The hunched position will allow you to maximize the use of your leg muscles including the hamstring and glutes. You'll notice that the Schwinn Volare is equipped with an "aluminum fitness style frame" as opposed to the traditional "aluminum road frame." With Aluminum fitness style frame, the seat and the handlebars on the Volare 1200 are put slightly more backward, and as a result, it allows you to achieve the hunched position naturally without a hassle. The benefits of this position are, aerodynamically, it creates an impact, and allow you to ride faster and brake quicker as well. But beyond the frame, the Schwinn 1200 is also encumbered with a gamut of comfort features that affect the successful functioning of the outstanding features Schwinn has tactically packaged within the bike. 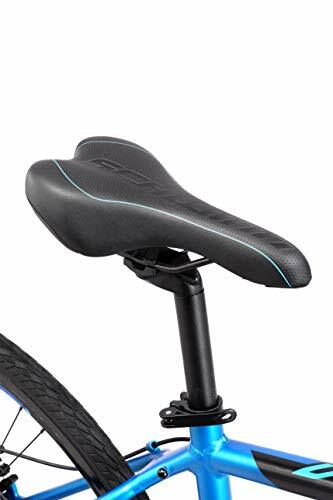 Though the saddle is not the most comfortable you can get on the Schwinn, it offers a lot of room for adjustment, allowing you to move it around to achieve the perfect height for you’re the most comfortable experience. 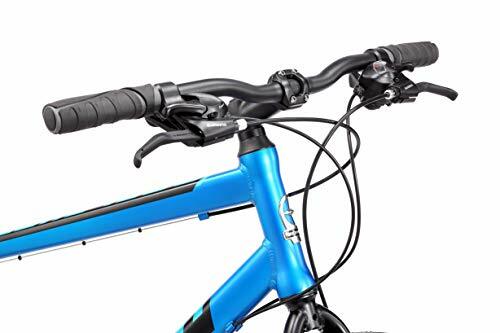 However, one component that we think should be included is the curled drop handlebars. Though the straight handlebars on the Volare 1200 work fine, the curled handlebars usually allow the rider to take on a better hand positioning, while allowing the rider to adjust their profile that is more appropriate for the terrain. Unlike the mountain bikes or hybrids, road bikes are all about speed. Road bikes are the ideal option for those looking to fire up their adrenaline. To do that, however, the gearing system must be up to par. Fortunately, with the Schwinn Volare, you get a bike with multiple gears, alongside two cogs on the front crank. The Schwinn sports 21 gears with Shimano shifters and rear derailleur system. What I liked most about the gearing system is that it's smooth and hassle-free. And with a wide range of gears, riding under any condition is fun and easy. So, whether you encounter up or downhill roadways, you can always shift to handle the different terrains. The braking system is required for safety purpose. The linear pull alloy brakes on the Schwinn Volare 1200 are just awesome. I was particularly impressed at their superb modulation, great braking, minimal maintenance, and most importantly, how it performs under a variety of conditions, including in the rain. Another vital aspect of the braking system is that they are easy to trigger, and will operate optimally even in rain or snow. 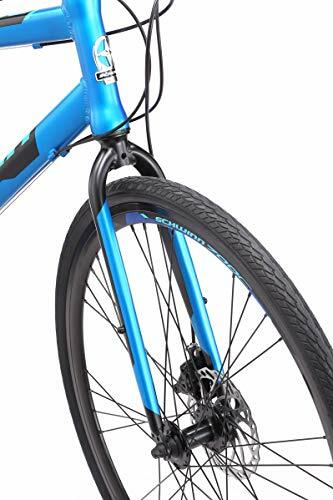 At the core of the Schwinn, we have cool alloy rims that are extremely lightweight and robust, allowing you to achieve maximum speed, and keeping the weight of the bike to a minimum. The 700c tires, which are a standard to a majority of the road bikes sport a narrow profile for minimal resistance, yet “wide enough” for the perfect grip even under wet conditions. The Schwinn Volare 1200 is an awesome and versatile road bike at a refreshingly affordable price. Performance on the Schwinn is one thing that has stood out. The bike packs all features of a high-end model and performs perfectly under a variety of conditions. Overall, it's a great choice for me and I am glad to review it here. If you are interested, check out by clicking the button below.